Stay toasty-warm in a sweater that's as unique and colorful as you are when you're wrapped in this handcrafted patchwork hoodie. Made of pure wool for superior quality, a fleece lining ensures comfort against your skin, and the spacious pockets keep your hands cozy. 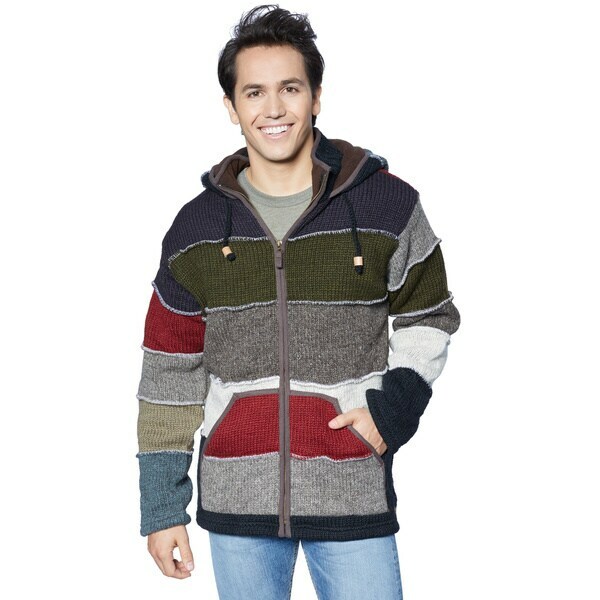 Item is fleece-lined and handcrafted in Nepal according to Fair Trade Principles.